Forgot Passcode For iPhone? 4 Solutions Listed! Forgot Passcode For iPhone? Here Are Solutions! Creating effective passwords and forgetting them over time is quite common. If you have never created a backup, and your device has plenty of essential data, then continue to read ahead as we provide you with a solution. They are both good and bad news for those who have forgotten their iPhone password. The good information is that everything is present. The bad news is that you cannot recover the passcode, unless, you remember the password unexpectedly. The only way to enter into your device is by restoring. Of course, the process will delete the data, but luckily, you can create a backup of the device even when you cannot remember your password. So, if you have forgotten the password, with the following text to understand the process of restoring it to normal functionality. The method is simple, but it will upgrade your device to the latest version, and if you are using the jailbreak, you will lose it. 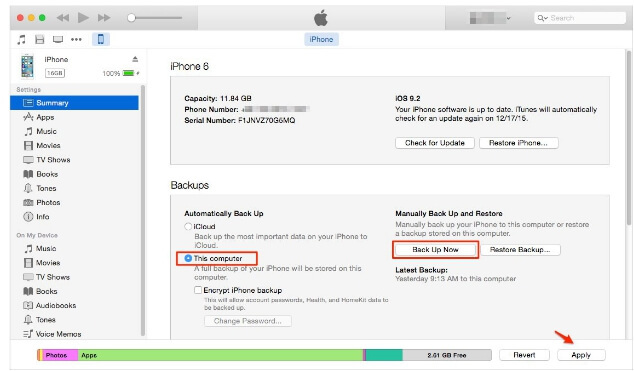 You can restore your iPhone if you have created the backup using iTunes. 1 Connect your iPhone to the computer. Run iTunes. If it asks for a password, try another computer or use the recovery mode. 2 Wait until iTunes completes synchronizing the device and completes the backup. After it finishes synchronizing and creating the backup, click “Restore” to restore your iPhone. 3 Once you reach the setup screen, you can select “Restore from iTunes backup” option. Choose the device and search for the latest backup. 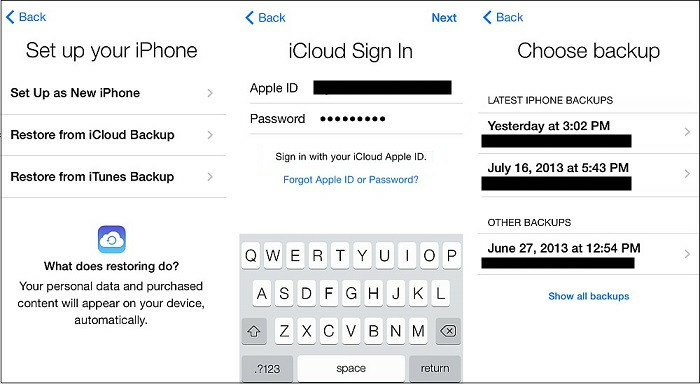 if you hold a valid iCloud account and enabled “Find My iPhone” option From a different device, go to icloud.com/find. 1 Once prompted, log in with your Apple ID. Press “All Devices” option from the top in the browser window. 2 Choose your iPhone that you want to erase. Press “Erase” to erase the content of your iPhone along with the passcode. 3 You can now restore your iPhone with the help of a backup or set up as a new device. 1 Ensure that you have disabled the backup encryption in iTunes. iTunes will open as soon as you connect your iPhone to the computer. From the sidebar menu, click your iPhone under “Device.” Under the summary tab, press “Back Up Now.” The process will consume some time before it finishes completely. You can confirm the success of the backup by clicking on “Restore Backup” and checking on the date of the latest backup file. 2 Place your iPhone in DFU mode. Once done, iTunes pops a small window that asks about restoring the device. By pressing, “Restore,” your phone will upgrade to the latest firmware. The process will delete the entire data, which also includes the passcode. 3 Disconnect and reconnect your iPhone to the computer. From the side pane, under the summary tab, press “Restore Backup” button. Choose the created backup file. The completion of the process will remove the passcode. If the solution mentioned above fails, you can still restore your iPhone to the last time you backed up by the other 3 methods. Recovery mode is helpful if you do not use iCloud, and you cannot synchronize with iTunes. 1 Connect the device to the computer. Open iTunes. 2 Force restart the phone by pressing the “Home” button and “Sleep/Wake” button at the same time while still in connection with the computer. Hold the buttons until you see the recovery mode. 4 The application will begin downloading the software for iPhone. After completion, it quits the recovery mode, and you have to follow step 2 and 3. After completing the process, you can then setup your device.